In a ranking of all 8,700 public schools across Texas in “Meets Grade Level” performance on standardized STAAR assessments, nearly 40% of schools led by Teaching Trust leaders appear in the top decile for student growth over time. 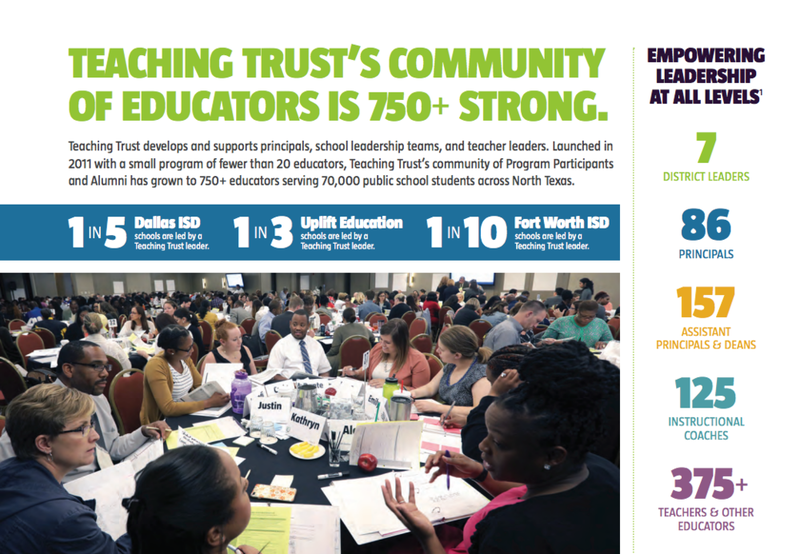 70,000 students across North Texas are learning and growing in schools and classrooms led by Teaching Trust leaders. Teaching Trust’s community of Program Participants and Alumni has grown to over 750 educators.